The PlayStation 4 will reach more than just your television thanks to a companion app coming soon to iOS, Android, and the PS Vita. The PlayStation 4, unlike its predecessor, was built from the ground up to insure it would take advantage of today’s “smartphone at the hip” lifestyle. With the PlayStation app, coming for both the iOS and Android market, users can gain PS4 remote access, connect with friends, and purchase the best the PlayStation Store has to offer right in their hands. Sony hasn’t left out its own portable device in this regard either; especially when the PlayStation Vita is likely at its best when paired with a PS4 (I’m talking about the dual-screen tech of Remote Play, of course.) Word is from President of Sony Computer Entertainment’s Worldwide Studios, Shuhei Yoshida, is that a PS Vita version of the app will arrive to the handheld with its next system update. 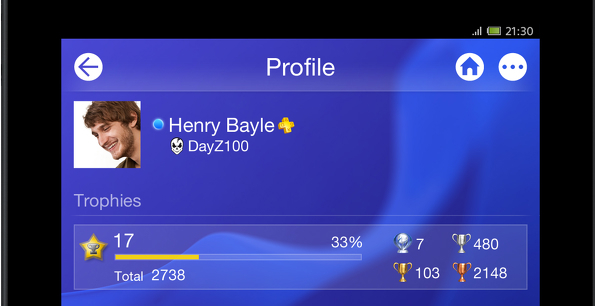 Assumedly, this so-called “‘PS4 Link app” will perform everything the iOS/Android app does. Wonderfully enough, in turn the smartphone versions gain the PS Vita’s abilities to act as a second screen during gaming thanks to the app. Not sure you’d probably want to play Killzone: Shadow Fall with touch-controls, but hey, have at it champs. I’ve included a video below of Mr. Yoshida demoing the PlayStation app’s features to give you a good roundabout look at it. Take careful notice of not Mr. Yoshida’s lackluster drawing skills, but rather his mentioning of small developers being able to use the app for second-screen functionality themselves, which should bolster more support for it. 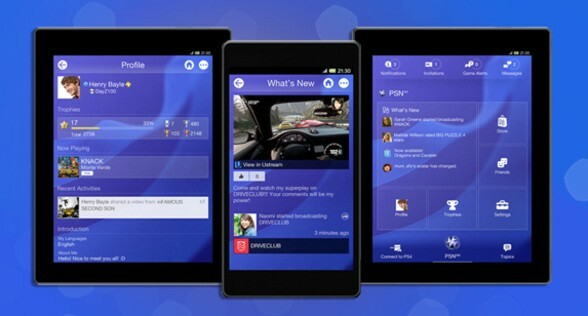 The PlayStation app is planned to be released sometime near the PlayStation 4’s launch in North America and Europe this November 15. If Sony manages to hit it out of the park, the app should make for an awesome companion to the new console; seriously, it’s promising on some really neat stuff – undoubtedly the Remote Play function – that should make gaming more accessible in this post-smartphone world. We here at PS3Maven are also quite accessible when it comes to providing you the latest PlayStation News from around the globe, for example the latest software update for the PlayStation 3, and the premier trailer for the Gran Turismo documentary that has some pretty sweet-looking roadsters in it.